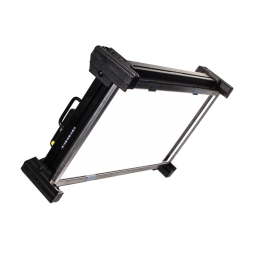 Litepanels game-changing LED panel is a soft, high-output source that allows you to quickly dial in colour-temperature and dim from 0-100% for unprecedented control. 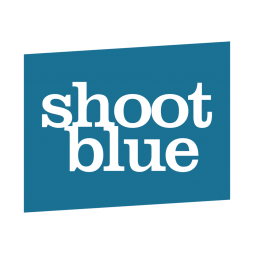 Lightweight, robust and able to draw power either from mains or a V-Lock source, these fixtures really are perfect for run-and-gun film-making. The dimmability and colour-temperature options also mean these heads are great for reacting to changing light conditions outside of your control in any environment. 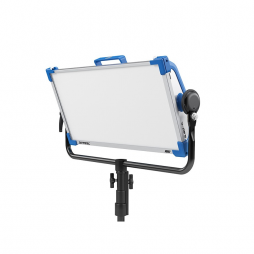 The 1’x1′ Litepanels head also features DMX control for intelligent remote control of several linked units. 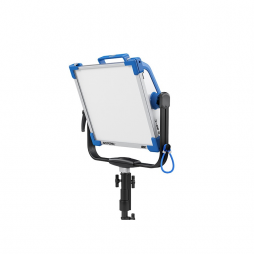 Kino Flo move into the LED lighting market with their Celeb 200 soft source featuring variable colour temperature and next to full dimmability. Equivalent to a 1kw soft tungsten source, the Celeb kicks out an impressive amount of light for such a compact fixture. The five pre-set colour temperatures are quick to select in a tight corner, or you can dial in the exact temperature you require to match any ambient light or warm up skin tones. Another useful feature of the Celeb 200 is that it can be powered by block batteries, meaning you can use the light out on location in the very middle of nowhere. The 4′ 4Bank fixture is one of the most popular of the range due to its wide, even spread and flexibility of colour temperature. Further control over the amount of light is given by the individual tube switches on a central ballast and the angle can be sculpted with an included eggcrate. 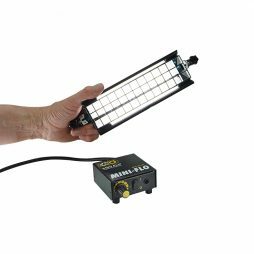 The 2″ x 4Bank fixture is an award-winning light from Kino Flo with the equivalent output of a 1kw softlight yet draws around a tenth of the power. The whole unit is also light enough to be rigged almost anywhere, including being taped to a wall. Due to its compact, lightweight chassis, the 2″ x 2 Bank head is useful for interview set-ups in tight locations or when you need a soft source to be rigged from above. This is the most portable Kino Flo source on the market, provided as a set of two and perfect for use in confined spaces. We supply a 5v adapter in the kit, meaning you can power the ballast from a cigarette lighter and light car interiors easily. 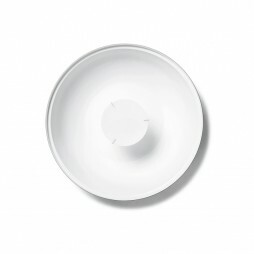 A dense diffuser that creates shadow-less light. 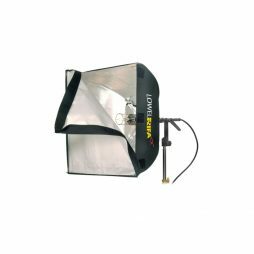 The Lowel Rifa 500w is a tungsten-halogen source with a diffusion screen provided as standard. 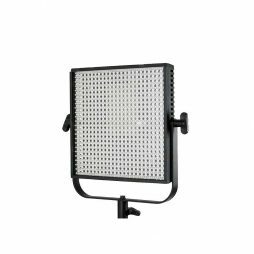 This lamp is great when used as a soft key for interviews or as a fill light when you need to reduce shadows. Easy to set up and fold away, this head is ideal for travelling with or when time is of the essence and you have a lot of talking heads to get through.